Takeaway: Trenchless water line repair can save homeowners money when repairing broken water lines in terms of labor and time expenses. Everything deteriorates overtime, so does our plumbing. Much of our underground infrastructure is decades old and some are badly in need of rehabilitation. As cities are growing, so is the need for better surface and subsurface infrastructure. 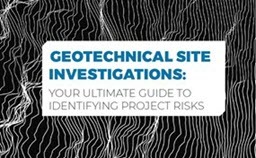 With such an extensive network of pipelines and cables running underground, it is inevitable that some of these pipelines experience structural failures and are damaged but never detected. Aged pipelines are more prone to damage than newer ones because some of the old lines may not be documented in municipal records making it prone to damage during construction activities. Damaged water pipelines in a city can contaminate an entire city’s water delivery system sending contaminated water right into drinking taps. It is, therefore, important to identify deteriorating and damaged pipelines and rectify them before damage is caused to surrounding utility pipelines and property. However, pipeline rehabilitation is a costly affair; or does it need to be? Traditional rehabilitation methods require trenching and excavation of roads, lawns, driveways and even removal of tiles or flooring at home. Often, more than one contractor will be required to finish off a plumbing rehabilitation job because the plumbing contractor may not agree to undertake the restoration of surface damage to yards and driveways, which in itself is a major expense. Surface disruption is inevitable when repair or rehabilitation is undertaken using trenching. For this very reason, trenchless rehabilitation techniques are gaining popularity because surface disruption is minimal or entirely eliminated in some cases. This means no more dug up roads, backyards, lawns and driveways. In short, trenchless technology can save money, for homeowners and municipalities. Regular checks of water mains and laterals can help prevent expensive repairs of an entire sewer network. Using closed-circuit television cameras (CCTV), it is now possible to remotely access the condition of pipelines prior to undertaking repair work. The CCTV camera is connected to a monitor that transmits real-time images and videos of the internal condition of the pipeline such as cracks, holes, buildup of minerals, corrosion, damaged joints, inflow/ infiltration (I/), tree root intrusion, denting etc. As the camera progresses, the operator takes note of the damaged sections for later reference. Once an entire system has been accessed, appropriate trenchless rehabilitation or repair methods are adopted. This method of inspecting the pipelines before undertaking repair work is an excellent way to save money on expensive trenching and open cut repairs. Video inspection ensures that pipes in good condition are not mistakenly targeted for repair. Trenchless methods help repair minor damages, to the point, using methods such as mechanical spot repair, grout-in-place pipe and epoxy liner, such that the structural integrity of the pipeline is restored, furthering the serviceable life of the pipe. When a pipeline needs to be rehabilitated, trenching can be inconvenient because the pipeline will have to be taken out of service in order to conduct repairs. Additionally, the area has to be cordoned off for the duration of the repair causing inconvenience to pedestrians, vehicles, businesses and residents. Using trenchless methods completely eliminates the cost and inconvenience connected with traditional trenching methods because it does away with excavation entirely. Most of the trenchless methods can be undertaken from manholes or through small excavations at the entryand exit points. It also eliminates the need for removing the pipe by rehabilitating within the old pipe using methods such as cured-in-place pipe (CIPP), sliplining and thermoformed pipe. Pipe bursting splits fragments of the old pipe into the surrounding soil and requires no removal of broken pieces to the surface. Repairing a broken pipeline using trenching under a city street can be a nightmare for commuters, businesses and residences in the vicinity. Often an entire road has to be closed and traffic rerouted to get the job done. It can also result in damage to other utility lines such as electric and telephone cables, gas pipelines, sewer pipelines etc. Not only is it an expensive affair, it can also be dangerous, especially when electric cables or gas pipelines are struck. Striking a sewer line can result in pooling of sewage water causing additional unpleasantness. The best way to prevent any of this is to use trenchless technology for rehabilitating city water lines. Many old homes still use decade’s old water lines that are rusty and probably broken somewhere underneath. The cost associated with changing plumbing lines have many trying to make do with faulty, leaking plumbing and taps. Fortunately, trenchless technology has now brought the cost revolution home by providing rehabilitation technology for homes. Most of the cost associated with rehabilitating plumbing lines comes from dug up tiles, landscape and driveways. Restoring these is costly and trenchless rehabilitation targets this particular problem that is every homeowner’s nightmare. Though smaller in scale than city pipelines, trenchless video inspection is also available for checking smaller pipelines in residences and businesses to detect the exact cause of a leak or backup. The defective pipe is identified and repaired or replaced using methods such as CIPP, sliplining and pipe bursting. Some of the materials used for replacing pipes are high-density polyethylene (HDPE), polyvinyl chloride(PVC), polyethylene (PE) and glass reinforced plastic (GRP). These materials have a serviceable life ranging from 50 to 100-years and are resistant to corrosion, abrasion, material buildup and deformation. Since these pipes are flexible and strong, trenchless methods use these materials to easily pull in pipes through manholes into old pipes.